What Do I Need to Bring you to Build a New Website? Tell us about your business, what you do and what gets you out of bed in the morning. Create a Word Doc or Google Doc. List all the products and services you offer as headings. Then for each of the product/services you offer, describe what they are/how they work/ in as much detail as possible. Add photos/images if you have them. You can copy this info from other websites (if your having trouble), just make sure to tell us what words are copied so we can reword it. If you have an ABN, please provide it or tell us if you don’t. Need help with content? Check this help article. A logo will make your website look more professional. If you don’t have one, just let us know. We build your website using a premium template or Theme. And we have hundreds of them to choose from. You can view them all from this theme page and follow some of the links. If you see one that you like, just tell us the name and we will use that. If you leave the site and look at themes on other websites, ignore the prices, we have licences for them all, and are include free with your purchase. Otherwise, if that is very confusing, list a couple of website that you like the look of and why, and we will choose a Template/Theme for you and modify it. You don’t need to register one (we do that for you) we just need to know what name(s) you would like. If you don’t know what a domain name is then read this, otherwise list 3 names in order of importance. If you have one already, we need the URL and the login password to the provider where it is registered. That’s it! Sent that through with your order. 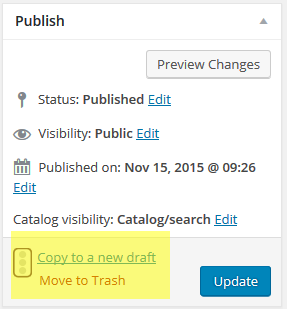 And remember don’t stress, WordPress let’s you add/edit content yourself. So you can easily update it. We can even show you how to do that. This is what we will email you when you make a purchase. Use above as a guide when you send in your details. Do you want to change colours in the template? If yes! What Colours? Sometimes we need to change things around. And WordPress makes it easy to change things. Note: Not the copyright section, generally just above this. Easiest way is just view in “Visual” Mode. Just copy and paste sections if you need to add areas. Or just edit the text as you see it. Don’t forget to save with the Blue Save Button. You REALLY want to get your website started ASAP, but creating all this content stuff is slowing you down? Thank you for visiting my website. My name is [Tell us you name] and I love doing.. [Briefly describe what you business does]. I have been in the [Your industry] industry/business/ for [Number] of years/months/days and enjoy every minute of it. If you need any help with [What problem does your business solve] then I’m your next best friend. Just get in contact with [me/my team] on the contact page and well get back to you in jiffy. Photo: You doing the work or something personal to instil trust. Easy, because all you need is your contact details: name, address, email, phone the usual stuff. Photo: A photo of your team, a work truck, your office/desk, worksite, or even a photo of your business card. Map: We will add a map if you have a location. Photo: At least one photo of you or someone doing the job, or solving the problem. A happy customer. A finished job or piece of work. A finished Product or products. A before and after shots (even in-between if it’s interesting) The more the merrier. Describe any services you have. Different types of products you have. But if you want to do more you can. But you don’t need it right away. You can and should do it over time. Just keep adding more and more content to your site. This builds trust. Trust equals more sales and higher search rankings. Our websites make it easy for you to manage content yourself. Or.. you can get us to do it if you’re to busy serving all your customers. Login to the Admin dashboard with the user name and password supplied by your Account Manager. You can do this for all content types. 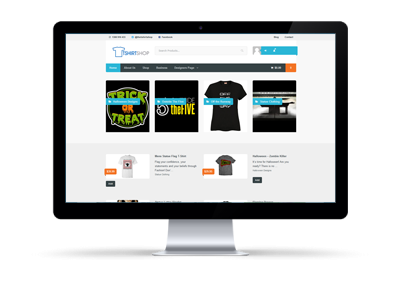 When we build you an e-commerce website we set up some base products for you. This makes it easy for you to use these base products to quickly set up similar products. TIP: Pick a product that is in the same category or similar style to duplicate. EG: Simple products, product with variations and attributes (EG: T-Shirts that have size, colour variations), Grouped product or downloadable or virtual products. This will make it easier to edit with the new product information. When you have copied the product, you should edit all the details about your new product that are different from the previous. Save the changes by clicking “Save Draft”, and then click “Preview Changes” to view your new product. Check to see if everything is OK. Then you can make it public by clicking “Publish”. Here is a Video that explains this..
How Do I Edit The Sidebar On My Website? The sidebars on your website are controlled by elements called “Widgets”. You can add/edit or remove sidebar items in the “Appearance” section of the admin dashboard. If you don’t want the sidebar on a page, go to that page and under the “layout Settings” select the image with the full width option. Do You Develop Static Page Websites? No. We do not develop static single or multi page website. We build all our websites using the WordPress platform. It is a proven system with more than 50% of all website on the Internet are built using WordPress. Including some of the largest companies in the world. Using WordPress gives you a powerhouse of an administration to run your business, but all at an unbelievable price. Start by choosing a package that best suites you.